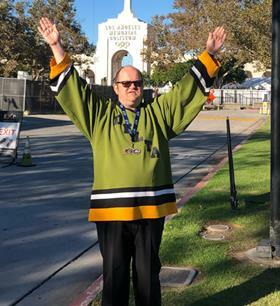 Meet SOBC – Delta’s Nick Johnston, a hardworking athlete who is pumped to compete in floor hockey at the 2019 SOBC Winter Games. 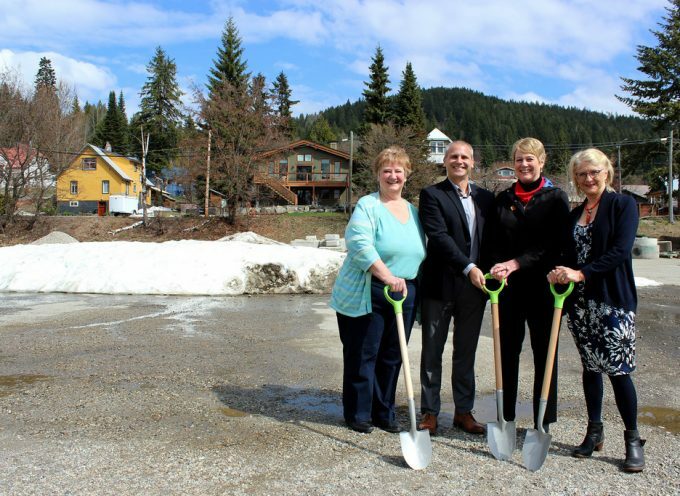 A longtime and dedicated supporter of Special Olympics BC, Wheaton Precious Metals has truly made a difference for athletes with intellectual disabilities across the province. As the Presenting Sponsor of the Sports Celebrities Festival since 2006, Wheaton Precious Metals has helped this inspiring and interactive gala raise more than $5.5 million to date for SOBC and the Canucks for Kids Fund. 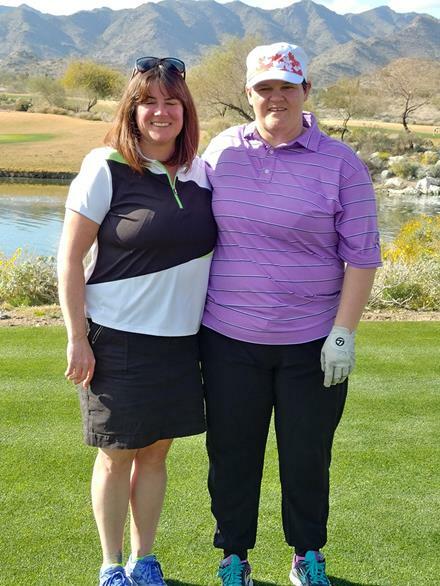 They are also a significant and ongoing sponsor of the Goldcorp Invitational Golf Tournament, which helps raise vital funds for SOBC programs throughout B.C. Did you know that fruits and vegetables should make up half of what you eat for breakfast, lunch, and dinner? An easy way to make of sure of this is by putting veggies in your main dish and having fruit on the side or for dessert. Next week! 2019 Special Olympics BC Winter Games! Greater Vernon! It is on! From February 21 to 23, we will be cheering on more than 600 athletes from all over the province and the Yukon, plus Special Olympics Alberta’s cross country skiing crew, who will show their amazing abilities and compete with pride in the biggest SOBC Winter Games yet. The Games website and SOBC’s social media accounts will have all the info and updates, including photos, results, livestreaming details, stories, and much more. So please check back often! There is still time to take the challenge and be freezin’ for a reason at 2019 Polar Plunge for Special Olympics BC events! 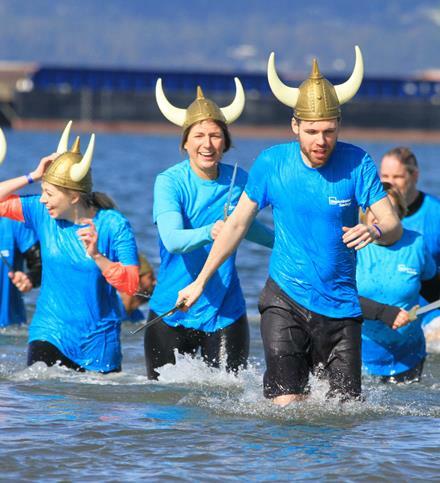 Join a colourful cast of characters and crash into icy waves at the Vancouver Island Polar Plunge for SOBC at Willows Beach on February 17 and the Vancouver Polar Plunge for SOBC presented by Westminster Savings Credit Union at Kitsilano Beach on March 2. Too chicken to get chilly? Volunteer or donate to help make a difference through the power of sport! We are grateful to Vancouver Island Polar Plunge Event Sponsors Serious Coffee Millstream Village, The Neal Estate Team, and Thrifty Foods. Sincere thanks to Vancouver Polar Plunge Presenting Sponsor Westminster Savings; Photo Booth Sponsor CN; VIP Warming Tent Sponsor Dueck Auto Group; Event Sponsors Safeway and Tim Hortons; and Media Sponsors City Television, JACK 96.9, KiSS 104.9, OMNI Television, and Sportsnet 650. Over the past 11 years, the Spread the Word to End the Word campaign has generated more than 1 million pledges to show respect to everyone and end the derogatory use of the R-word. Now this grassroots-powered campaign is shifting its message to Spread the Word: Inclusion, in order to become a bigger, more impactful movement with truly global outreach. 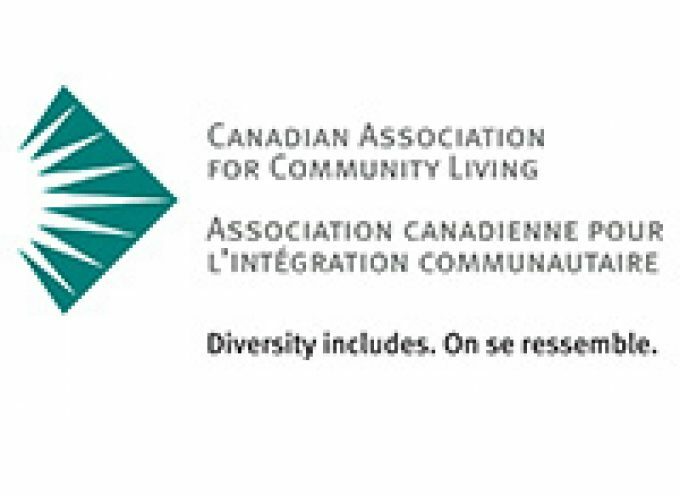 The annual awareness day is coming up on March 6, inviting everyone to take action for inclusion in their schools, communities, and workplaces! Spread the Word remains committed to advocating against the use of the R-word and all forms of exclusion towards people with intellectual disabilities, and remains dedicated to empowering people all over the world to be agents of positive change and inclusion. “The words we use can be very powerful and hurtful and cause a person to feel very badly about themselves. The R-word is one of the words we use that is very hurtful toward others. 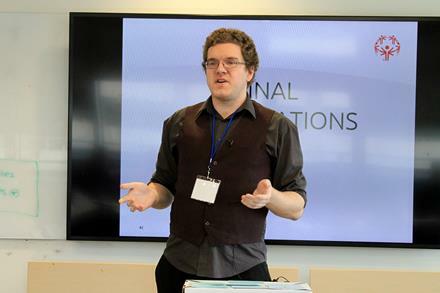 Even if it is not intended to hurt and is only used as slang or to make fun of a friend, it still hurts anyone who has an intellectual difference who may be listening,” says SOBC – Langley athlete Christian Burton, who has given presentations to raise awareness about this campaign for respect and inclusion. Special Olympics BC – Abbotsford coach Roshan Gosal, a long-standing champion of the Spread the Word movement, will be teaming up with SOBC – Abbotsford athlete Austin Johnston to participate in the Special Olympics Global Youth Leadership Summit in Abu Dhabi during the 2019 Special Olympics World Summer Games. 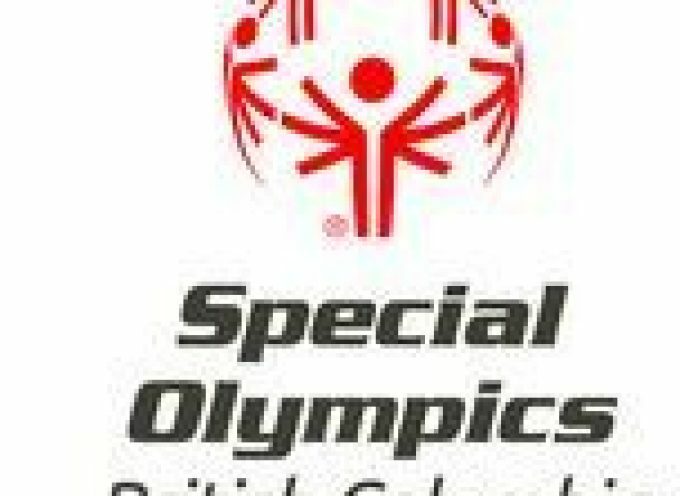 Supported by SOBC – Chilliwack coach Wayne Williams, they will focus on a Spread the Word: Inclusion project and will bring exciting information and opportunities back to B.C. >> Learn more about the Spread the Word campaign in B.C. Communication at health care visits is very important, so Special Olympics BC has created a booklet to help athletes talk with their providers and track info to share with their families and caregivers. Please click here to download your printable copy. 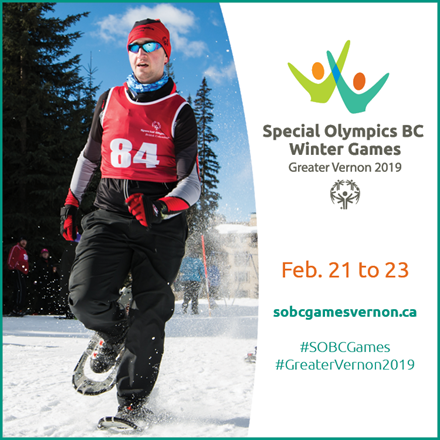 The 2019 SOBC Games will offer free, fun, and valuable Healthy Athletes screenings for all Games competitors, delivered by volunteer professionals who are trained to support individuals with intellectual disabilities and help uncover issues in a welcoming environment. On the morning of Saturday, February 23, from 9 a.m. to approximately noon, the screenings will also be open to all local individuals with intellectual disabilities. 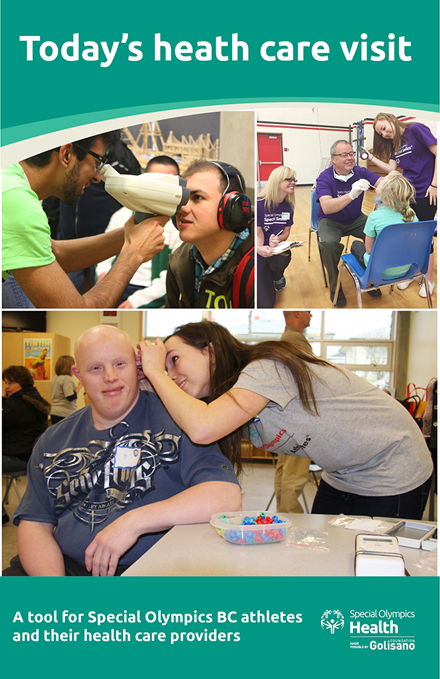 Screenings will be held at the Greater Vernon Recreation Centre and will be offered in the disciplines of Opening Eyes, Special Smiles, Healthy Hearing, Fit Feet, and Health Promotion. Please click here to learn more about the Special Olympics Healthy Athletes program. From March 14 to 21, more than 7,000 athletes with intellectual disabilities from 177 countries will show the world their amazing abilities at the 2019 Special Olympics World Summer Games in Abu Dhabi and Dubai. 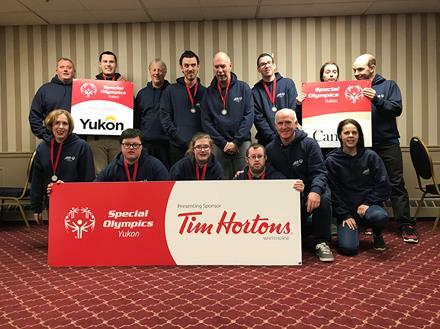 Special Olympics Team Canada 2019 is comprised of 109 athletes, 37 coaches, and 11 mission staff members from all 12 provincial and territorial SO Chapters. We are cheering for #SOTeamCanada19 and the 11 determined athletes, six dedicated coaches, and three outstanding mission staff from B.C.! Please click here for stories about the SOBC members’ journey to Abu Dhabi, and follow our social media accounts for ongoing updates. And Special Olympics Canada has launched a team newsletter to share stories – please click here to sign up. We are cheering them on every step of the way to Abu Dhabi! Immediately following the 2019 Special Olympics BC Winter Games, four SOBC figure skaters will take the ice at the 2019 Canada Winter Games in Red Deer to show the nation all that they can do! Can’t wait to cheer on SOBC – Vancouver’s Jeff Leung (pictured at right) and Eric Pahima, Kari Trott of SOBC – Port Alberni, and Jennifer Utendale of SOBC – Surrey, supported by Head Coach Jessica Chapelski of SOBC – Vancouver! From February 15 until March 3, the 2019 Canada Winter Games will involve up to 3,600 athletes, managers, and coaches in 19 sports, as well as more than 20,000 visitors. The Canada Games is the largest and most prestigious multi-sport competition for young Canadian athletes. Come cook with us! Special Olympics BC is hosting a Family Health Forum in Surrey on March 9, to share tips for families to prepare healthy meals and snacks together with a focus on promoting independence in the kitchen and choosing healthier options. Participants will make lunch and enjoy eating together upon completion. When: Saturday March 9, 2019, 9:30 a.m. to 12:30 p.m.
Who: Open to families / households ages seven and up. Must have a minimum of one caregiver and one individual with an intellectual disability. Please RSVP to Sarah Russell by February 28 and indicate how many people wil be attending: phone 604-737-3081 / toll-free 1-888-854-2276 / email srussell@specialolympics.bc.ca. 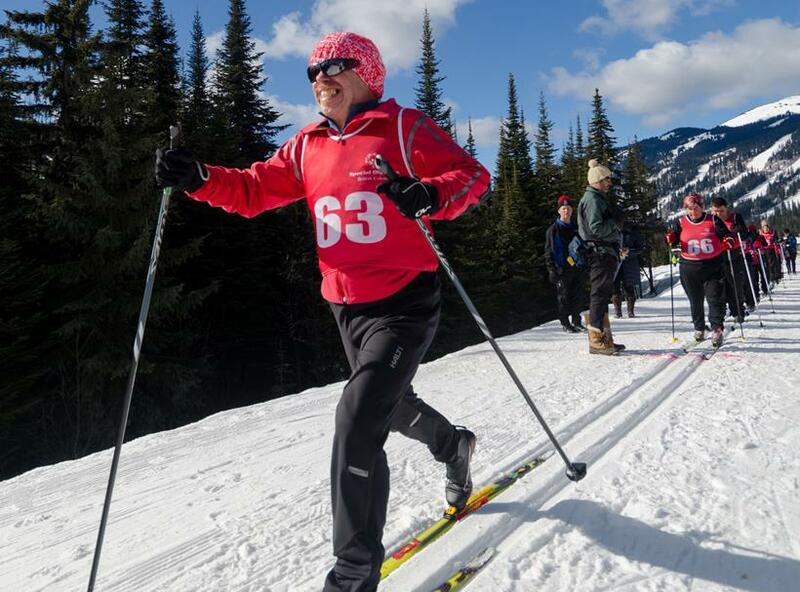 The members of the New Car Dealers Association of BC have been strong supporters of Special Olympics athletes and programs throughout the province since 1984. They will continue their outstanding support at Unveiled, the Vancouver International Auto Show kickoff event on March 19, giving SOBC the opportunity to raise awareness and funds at this highly anticipated event. The Vancouver International Auto Show, which this year will run from March 18 to 24, is Western Canada’s best-attended consumer show, and one of Western North America’s premier automotive exhibition events. 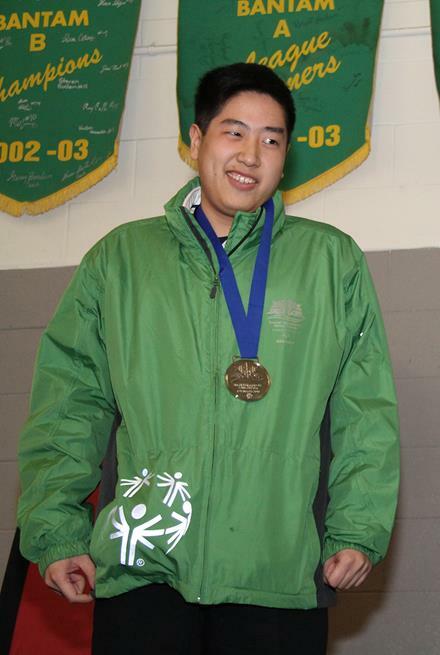 Through Special Olympics BC Athlete Leadership programs, athletes develop the skills and confidence to take on influential roles including public speaking, health advocacy, and providing input to organizational leaders. These programs are proven to have a lasting benefit to participants by increasing confidence and self-esteem as well as providing input and insight into athlete issues – a valuable resource to our movement. SOBC – Comox Valley athlete Jake Hooper (pictured above right) recently became a member of the Special Olympics North American Leadership Council, as Canada’s Athlete Representative. Hooper, also a member of the Special Olympics Canada Athlete Leadership Council, says it feels “amazing to represent the athletes of Canada” with the North American leadership group. “I aim to help the athletes to the best of my ability,” Hooper says. Hooper has completed SOBC Athlete Leadership programs that help athletes build their skills to participate in such opportunities. The next SOBC Athlete Leadership Conference will be hosted on April 5 to 7 in Richmond. The weekend will include Athlete Speakers Bureau, Athlete Input Council, and Health Messenger courses as well as workshops on understanding bullying, health advocacy, reporting, and creating PowerPoint presentations. Athletes and volunteers who would like to participate are asked to please contact their Local Coordinators. The registration deadline is March 3. Congratulations to the Special Olympics BC – Coquitlam Vipers soccer team, who travelled to the 2019 Special Olympics Yukon Whitehorse Tim Hortons Invitational Soccer Tournament! They played with pride against talented teams from the Yukon, Saskatchewan, and PEI, and they represented our province well with their determined play and sportsmanship. And they came home as silver medallists! “In the final we could not ask for much more, they dug deep and to the best that they had, and we are very proud of each and every one of them,” coach Wes Sim said. Thousands of Special Olympics BC athletes, volunteers, and sponsors help to inspire greatness within our organization and within our community. SOBC is proud to recognize the exceptional contributions and achievements of outstanding members through our annual awards! Please click here to download the award nomination forms. The submission deadline is April 4. 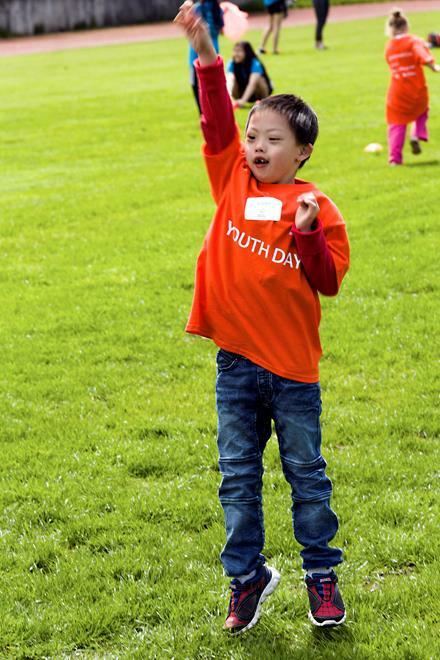 Please save the date: The Lower Mainland Special Olympics BC Youth Sports Day will be coming back to Burnaby this year for all Active Start and FUNdamentals participants to enjoy! The season-ending celebration and day of active fun will be held on May 11 at St. Thomas More Collegiate in Burnaby from 10 a.m. to 2:30 p.m.
As we celebrate the 50th anniversary of the global Special Olympics movement, we are taking a look back at the #50moments that have defined Special Olympics here in B.C. and throughout the world. 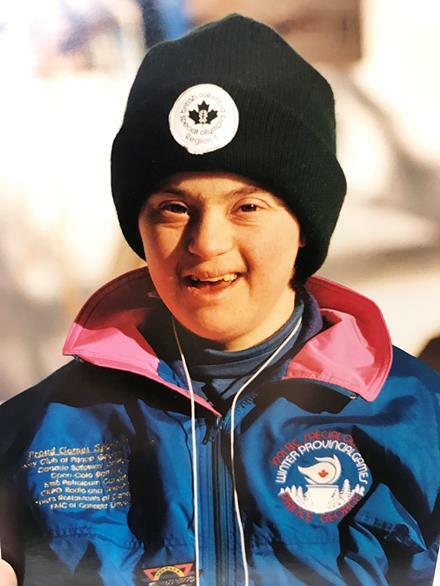 Make sure to check our social media channels and website every Tuesday for the latest instalment and share the joy and inspiration that helped define the last 50 years of Special Olympics. It has been brought to our attention at the Provincial Office that there have been a number of ‘scam’ emails being sent to various Local Committee members and volunteers requesting a response that will ultimately lead to a request for money transfer or a computer virus or attack hack. With that said, it is important to remind everyone to be extra vigilant and always check to see what the actual email address of a sender is, regardless of the individual’s contact name. It is critical that you are not responding to emails that seem suspicious or that you question. Even if you do know the email address, always be cautious that an odd request coming from a legitimate email may in fact be of concern. For example, you may receive an email from ‘Sheida Hajighazi’ but when you check the actual email address, it is actually finance@gmail.com, which would indicate it is a scam. This is not an issue that is isolated to Special Olympics and is a common issue faced across Canada as technology is being used much more. In order to preserve your personal information, the organization’s confidential information, our reputation, and our finances from being compromised, it is critical to never oblige to any requests from an unknown source, especially for payments or transfers via email. Additionally, always be cautious with strange requests from known sources – if you think something looks like a scam, it very well may be. In the event that you do receive such emails from a known source, please discuss it at your next Local Committee meeting or give the sender a call to ensure validity of the request. If you find that this is happening within your Local, please let us know, and again, please be extra cautious. Thank you for your attention to this matter and if you have any questions, do not hesitate to reach out to Sheida Hajighazi, SOBC Manager of Finance and Administration, at 604-737-3180 or sheida@specialolympics.bc.ca.